Number Agents: What is it we should be checking on along a child's journey in their first year at school and beyond? 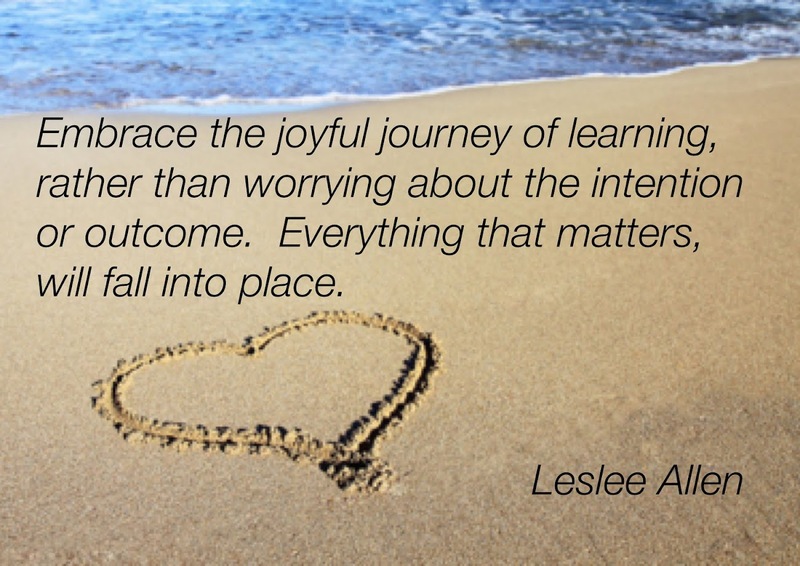 What is it we should be checking on along a child's journey in their first year at school and beyond? Something that interests me is our obsession in education on assessing children, assessing them for their progress, but also assessing them for their knowledge gaps. Then filling these gaps with focused teaching of the knowledge we believe will fill this gap. 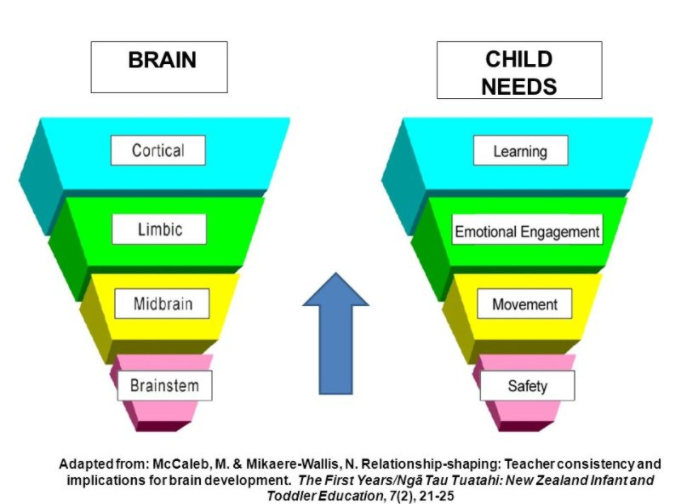 Very rarely do we look beyond the knowledge that may be needed to fill this gap and think about why the child is having difficulty making our perceived 'expected' level of progress in the first place. I have been just as guilty of this and used to cycle Number Agents through a two week cycle of knowledge focus so that I was 'covering' what I thought I needed to. In writing I would focus in on that specific thing the child was not doing to try and ensure that on their next sample they showed me they could indeed do it. And so it went on, I was constantly filling up gaps in the knowledge that in doing so I could 'accelerate' their progress to a level that would prove I had 'taught' them something. The last 18 months have been transformative for me. Challenging my own assumptions and being open to change and flexible enough to change has opened up a whole new viewpoint on learning. Firstly I stopped seeing everything that was missing as a gap that needed to be filled. I folded right back and did some learning about the brain. The work of Nathan Wallis really resonated with me and the diagram of brain development was one that really helped to make it all make sense. Nathan talked about the brain developing sequentially. Like a house the floor needed to be put on along with the walls and then the roof, the roof being academic learning. 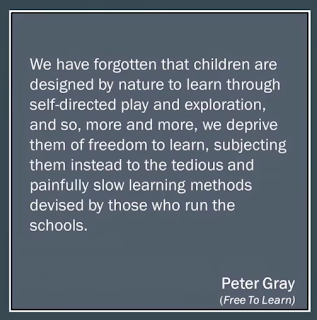 I went back to school after listening to him to be speak(or to be honest, home that very evening) and worked on a model that related to this that I could translate to the classroom. 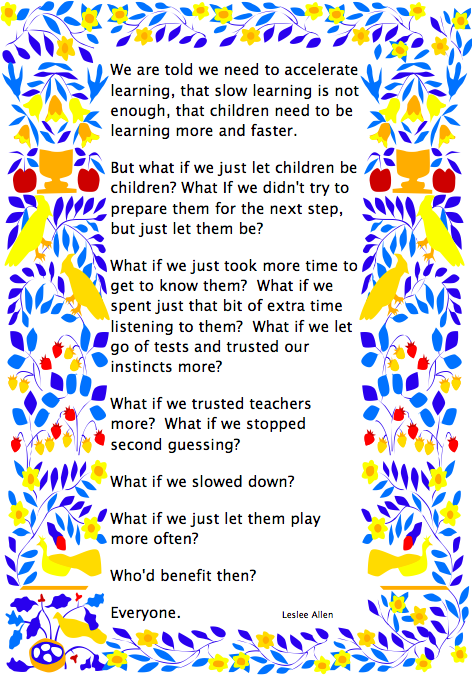 I see that I will develop this further, but for now it helps me to summarise what I now aim to do for my children. From this I made huge modifications to the goal sheets that we work through with children. 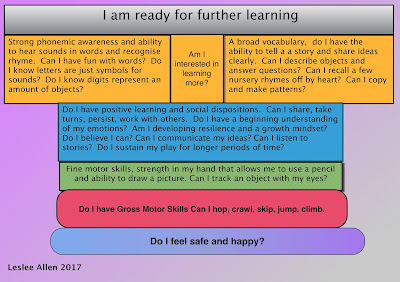 Rather than including academic goals early on, I created goals that would allow me to see fine and gross motor skill development. 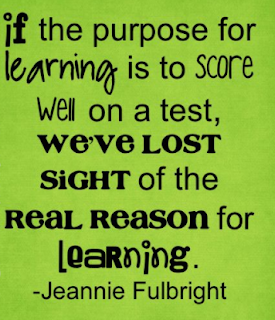 Goals that would allow me to have more insight into the child in front of me and their individual development. This sheet has already been modified several times and I am guessing that I will modify it many more times as I learn more. We have sheets that go along with each step and eye tracking and dominant eye is something I want to add to the fine motor section of the goals, for now, we note it down for our own reference. For us now these developmental goals have become the way we help children to make progress that is relevant to their developmental stage. 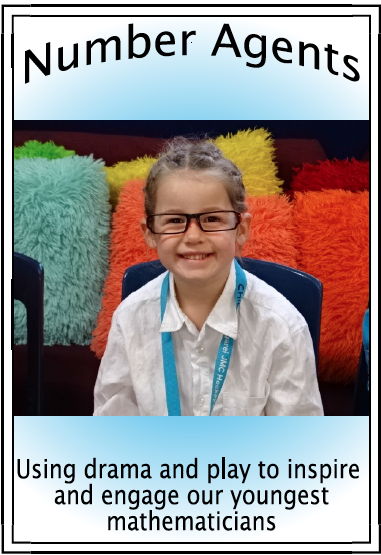 Our programme has become very individualised. 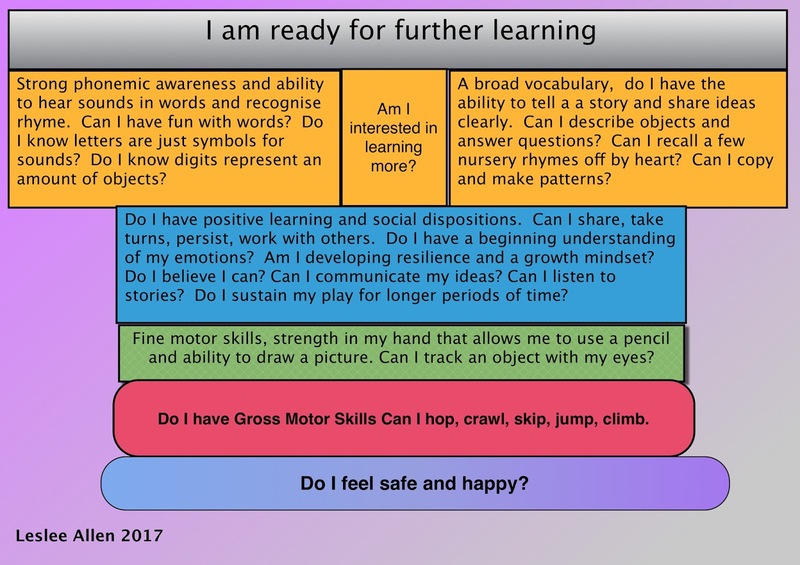 Rather than thinking later on about a child that may have had a year and is not making the perceived amount of academic progress and then back tracking and trying to see if they have movement issues, we now ensure that this is in place first. 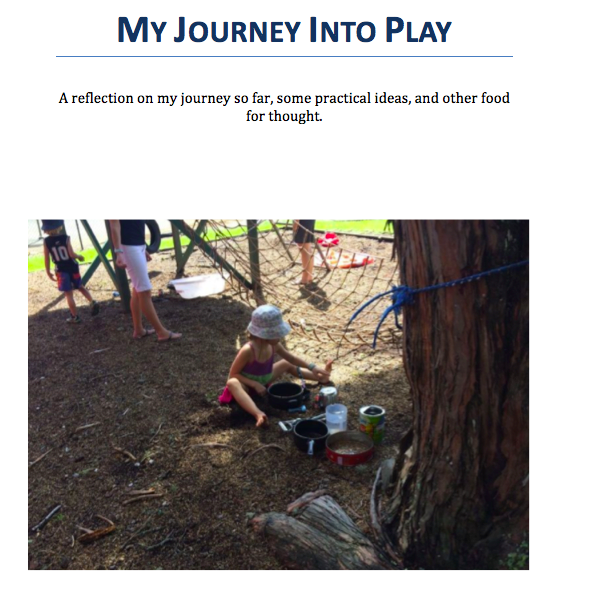 The reality is it may take a child a year or more to be ready for further academic learning beyond what happens through out play and I am absolutely 100% ok with this. I now completely understand why many people believe the actual teaching of reading should be delayed till seven. 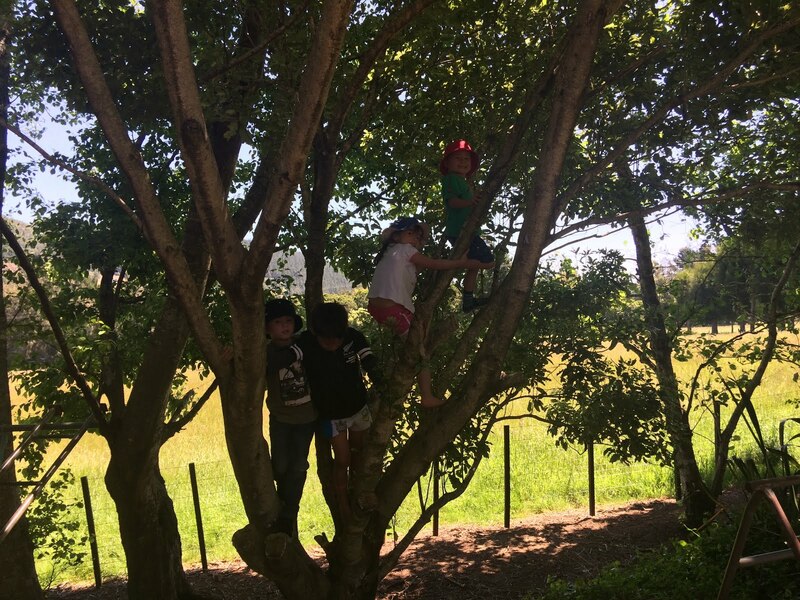 This article is brilliant for explaining why it is we need to be folding back and not pressuring children to do things they are not ready for. I just don't believe that we (as an education system) comprehend how important it is to really understand the link between movement and learning in terms of the brain. Our approach to the education of five year olds would certainly suggest that we don't. While some children may be able to develop academic awareness and make appropriate progress without strong foundations in place, you can guarantee that later on some cracks will appear if we have not allowed them the time to simply develop and be ready. 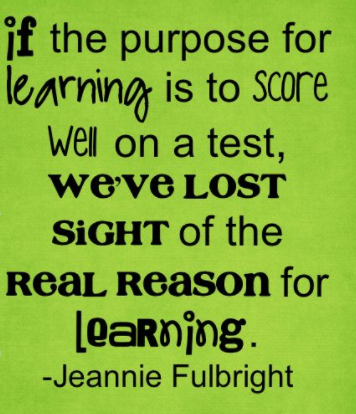 Applying understandings, displaying initiative, transforming learning, resilience, bouncing back from difficulty, well developed social skills and management of risk are amongst the things I believe will become difficult for learners that are pushed into the academic arena before their brain is developmentally ready. However this is an area that warrants further thought from me. Instead of expecting five year olds to walk through the door and begin their 'academic' journey in terms of reading, writing and maths. I believe we should allow them to walk into our rooms and just pick up where their brain is currently at. As educators we need to find ways and means of doing this, we have 46 individuals in our two home rooms now, each one is working individually on their own journey, they are all different and all achieving well for them, we are not filling in any gaps, we are gradually building foundations for them to grow from. We need to stop expecting children to do what they are not ready for. 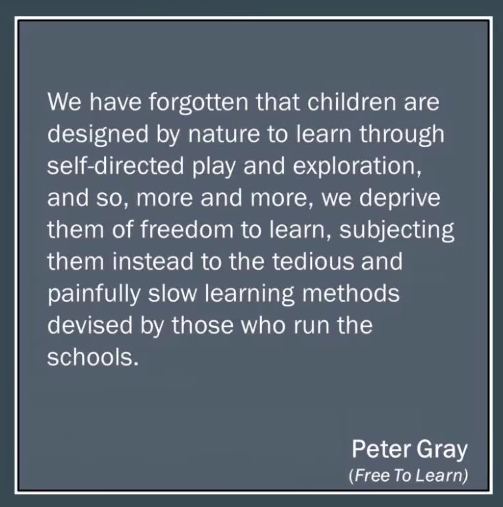 This does not only apply to five year olds, I believe there are many children sitting in our classrooms in their first few years at school that have weak foundations and really need to go back and solidify these foundations, I don't think it is ever too late! Think about those boys that suddenly around year 3/4 start to appear in data as below, are reluctant writers, become behavior issues. Could it be that simply by checking their foundations of development we could assist them to further engage with academic learning? But what do we currently do, I would suggest that in most cases we just try to fill in the gaps, spend more time on this area, continue to force learning upon them that they are not able to engage with. I have many examples now of children who, given the time to develop their foundations, don't need anyone to help them fill in the gaps, their brains are ready to do that for themselves, given authentic learning situations they display remarkable progress when and as they are ready. 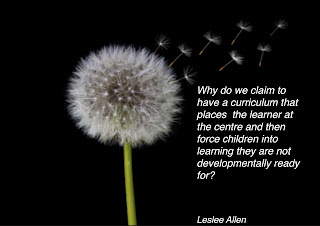 Schools should be places of thinking, not fountains of knowledge. Writing, what should we really be looking for?